The Red Onslaught is broadcasting waves of telepathic hate across the globe -- and Marvel's greatest heroes have turned on their moral axis! What will the Avengers and X-Men find in the Red Skull's bleak "re-education camps"? What is Tony Stark's dark secret? And with the heroes "inverted" to evil, who will stand against them? How about an army of villains?! 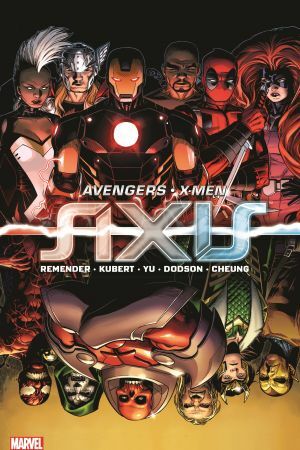 Magneto betrays his alliance, a founding Avenger quits, and the Scarlet Witch is forced to join Dr. Doom! And who are Kluh and the Sorceress Supreme? 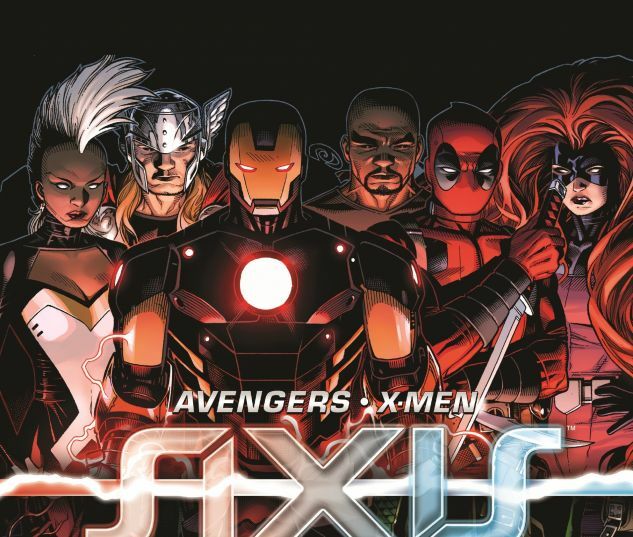 As the Axis of Evil strikes down the heroes, the all-new Astonishing Avengers battle the Uncanny X-Men! Witness an X-Man's horrifying fate -- and an Avenger's appalling choice! Who will live or die? Who will remain inverted? The shocking climax will crack the Marvel Universe to its core! 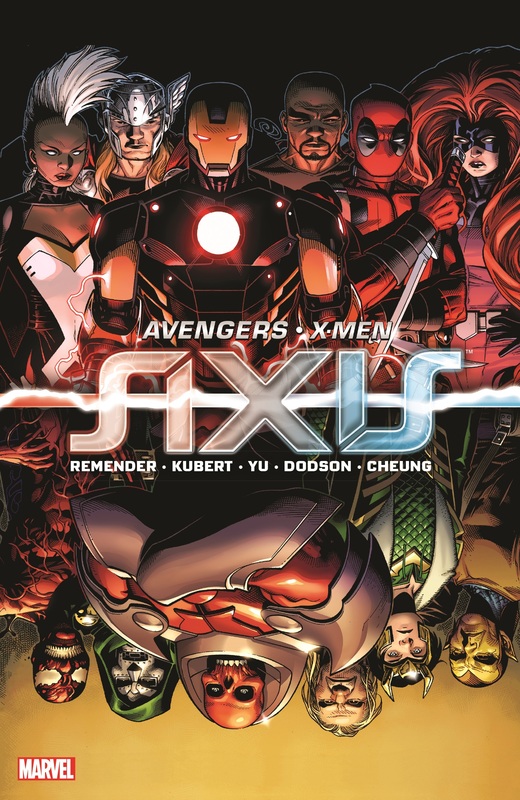 Collects Avengers & X-Men: Axis #1-9.